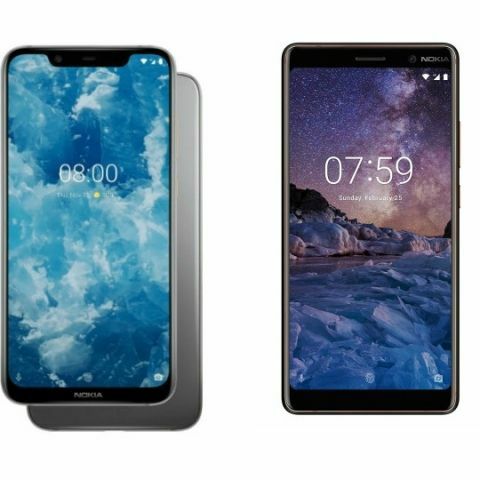 Nokia 8.1 is the latest smartphone by HMD Global, which is launched in Dubai on Wednesday. The smartphone is expected to launch in India on December 10 at the company’s event in New Delhi. The smartphone features a 6.18-inch display and is powered by a Qualcomm Snapdragon 710 processor. On the other hand, the Nokia 7 Plus, which was launched earlier this year at a price of Rs 24,928 comes with a Qualcomm Snapdragon 660 processor. Both smartphones are also part of Google’s Android One Program, which means they will receive updates sooner than other devices. 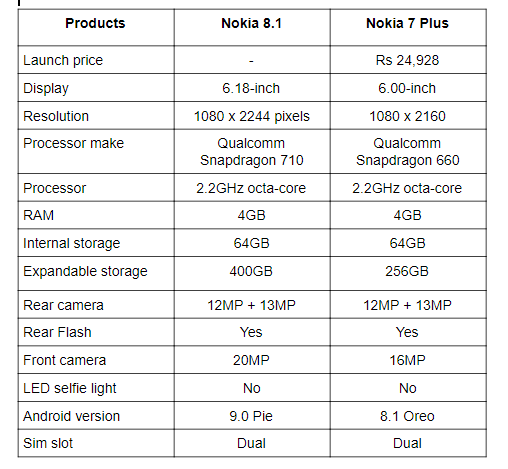 Let’s do a quick spec comparison to know what’s new company has come up with its latest device in terms of specifications. The Nokia 8.1 sports a 6.18-inch display that offers a resolution of 1080 x 2244 pixels, while the Nokia 7 Plus sports a 6.00-inch display that offers a resolution of 1080 x 2160 pixel. When it comes to the performance, the Nokia 8.1 is backed by a Qualcomm Snapdragon 710 octa-core processor. On the other hand, the Nokia 7 Plus is powered by a Qualcomm Snapdragon 660 processor. Coming to the cameras, both devices feature a dual 12MP + 13MP rear camera. At the front. The Nokia 8.1 offers a 20MP unit, while the Nokia 7 Plus is equipped with a 16MP sensor. The Nokia 8.1 is expected to release in India on December 10. However, there is no official statement came from the company yet. The Nokia 7 Plus is available in India at Rs 24,928.